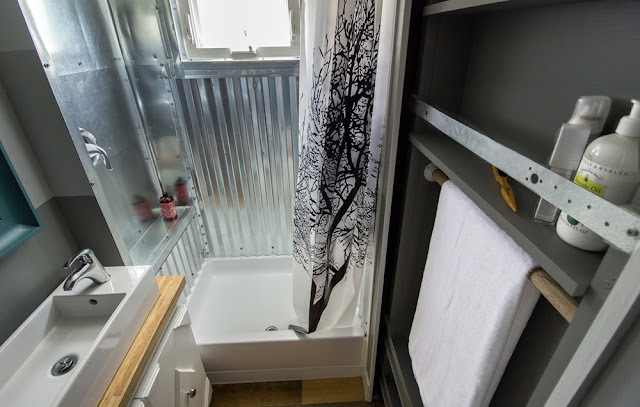 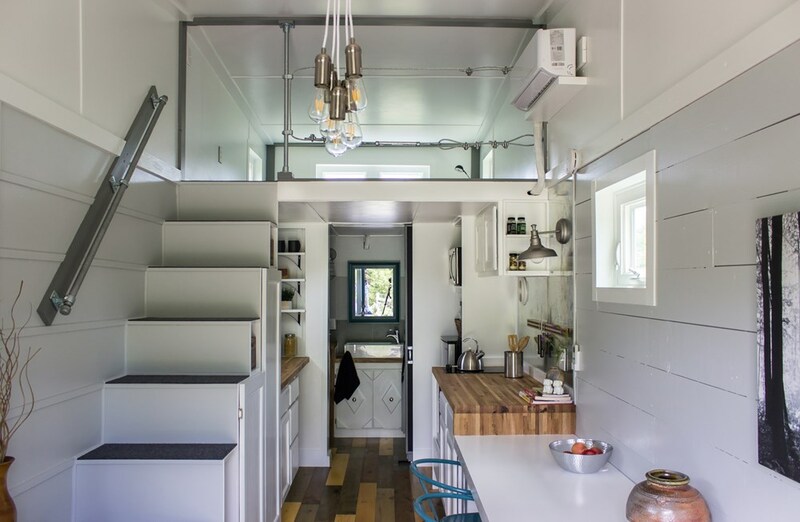 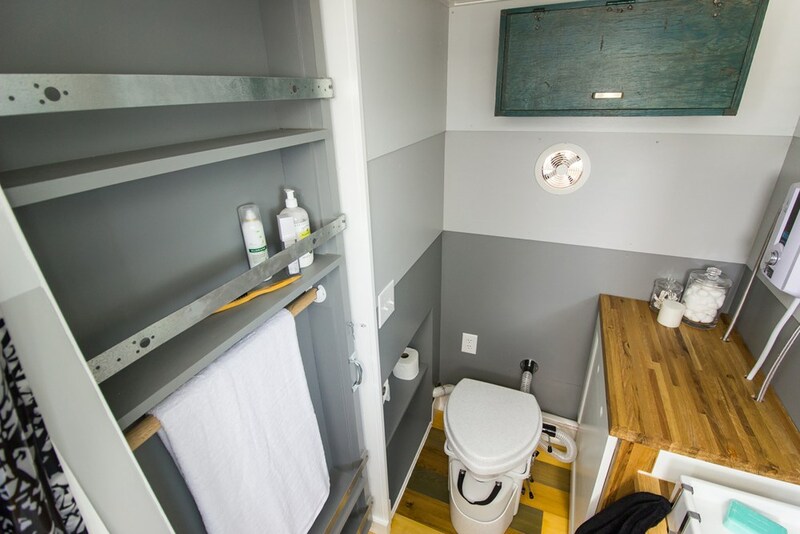 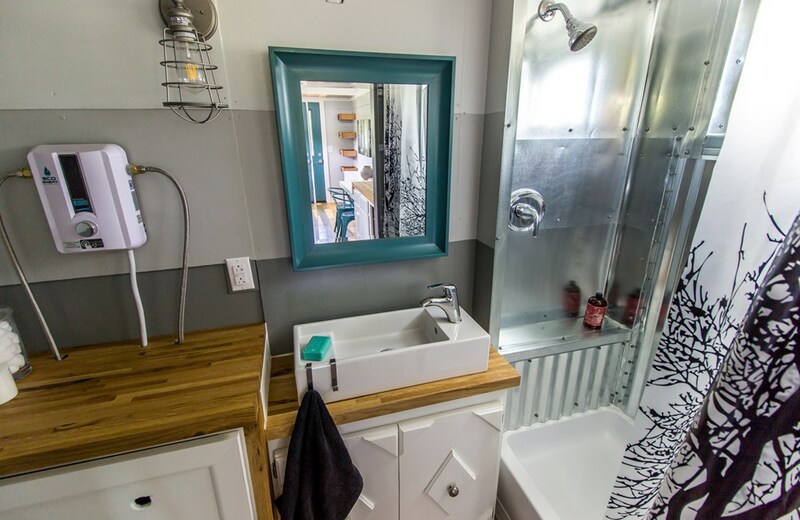 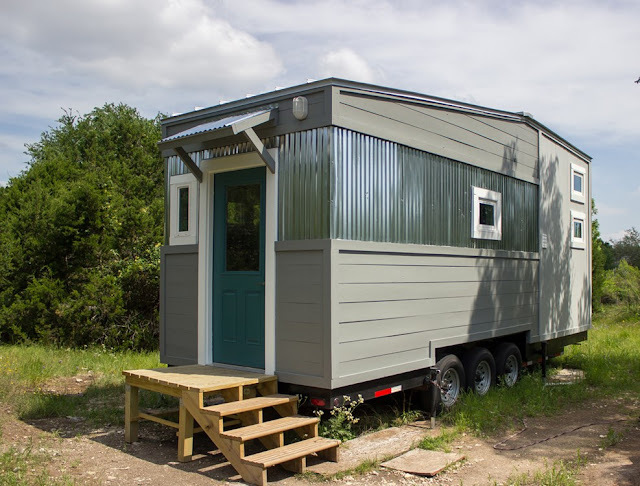 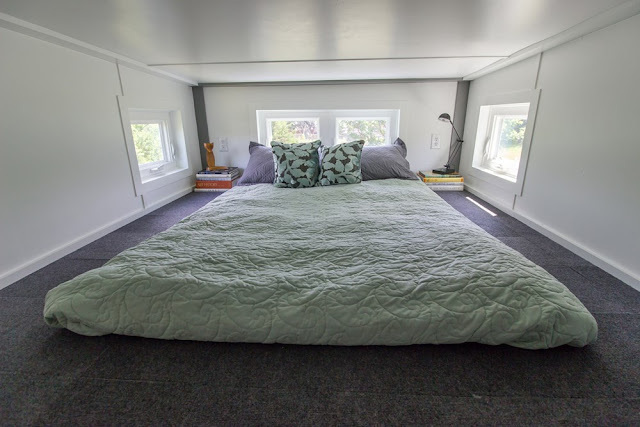 This gorgeous contemporary tiny home is currently available for sale just outside of Austin, Texas. 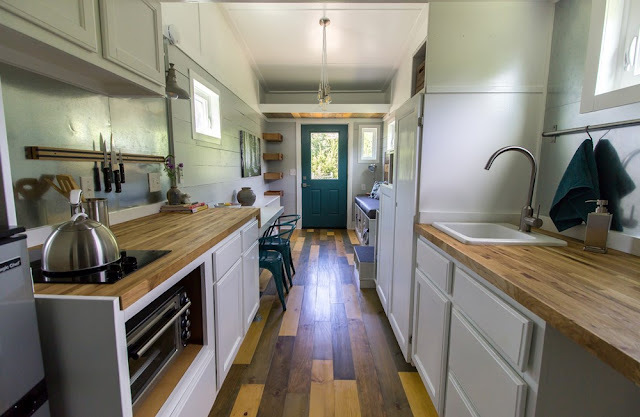 Named the "Fallen Leaves", it's designed by Reed Road Home Design, and features a beautiful design and a functional layout. 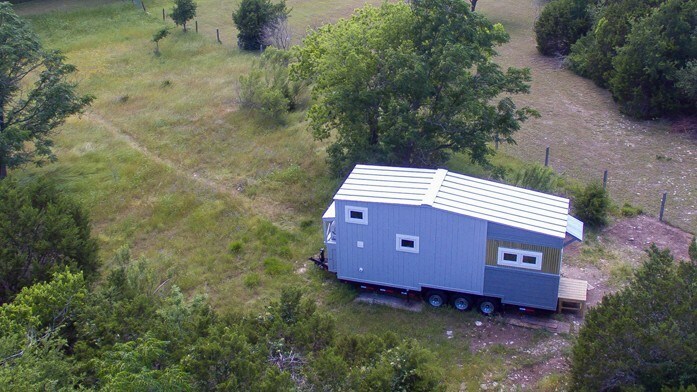 Measuring 8' x 24', the home is built onto a triple-axle trailer with four stabilizing jacks and weighs about 21,000 lbs. 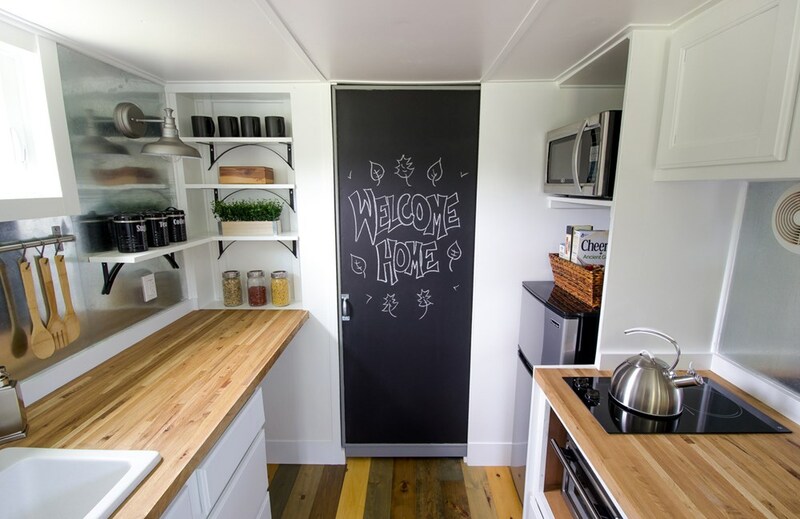 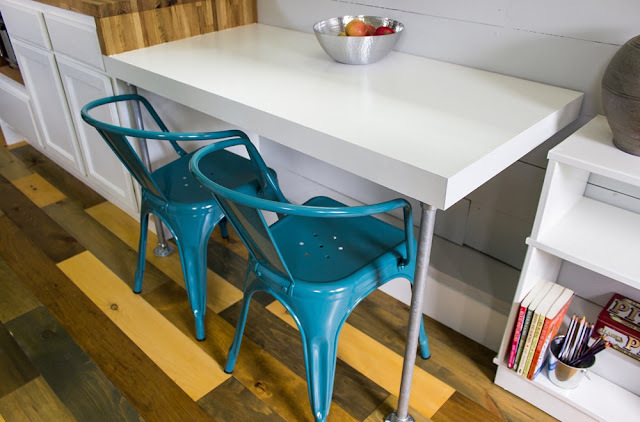 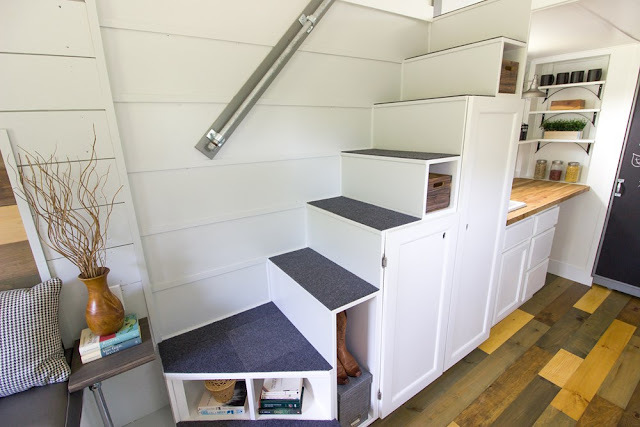 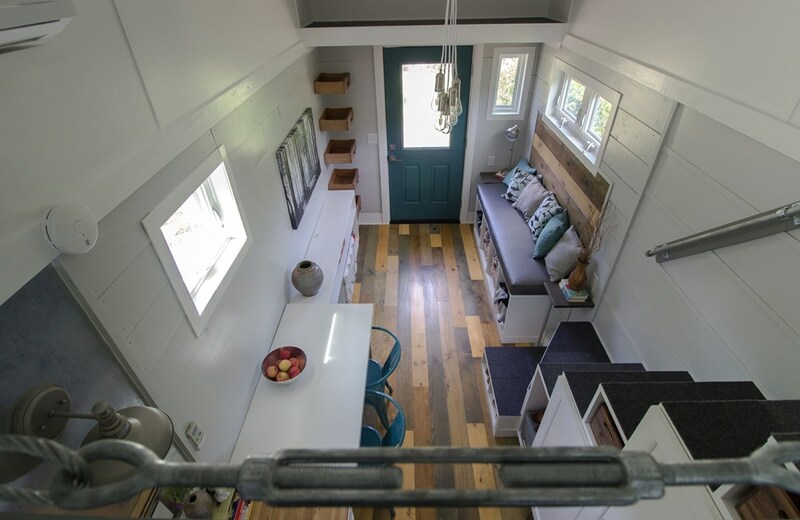 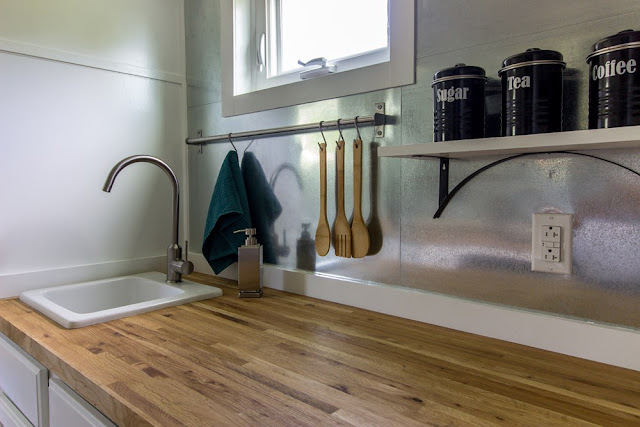 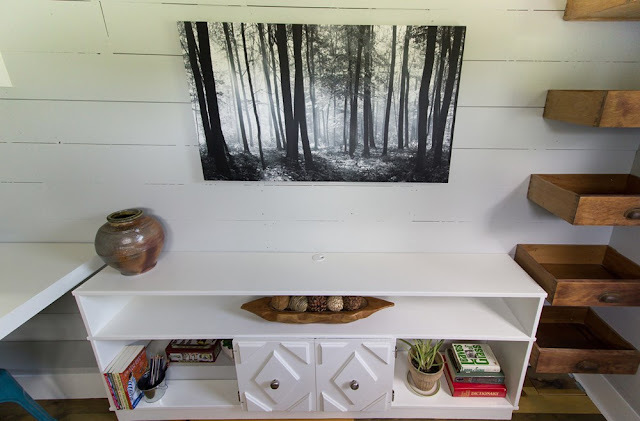 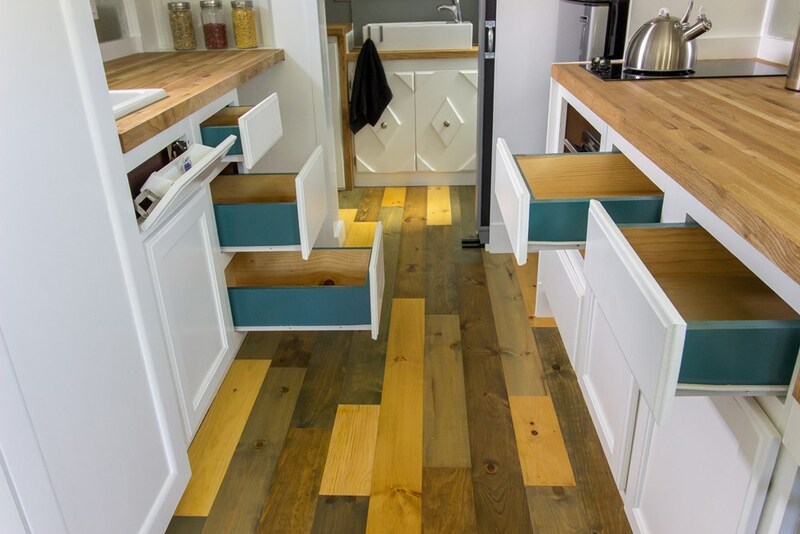 Inside the home's 250 sq ft interior is a full kitchen with a fridge and two burner stove, a living room, sleeping loft, and a bathroom with a composting toilet. 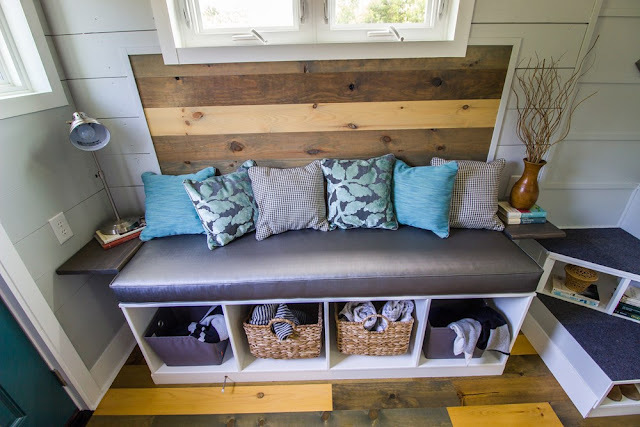 The living room comes furnished with a bench and cushions, a side table, media console, and a table. 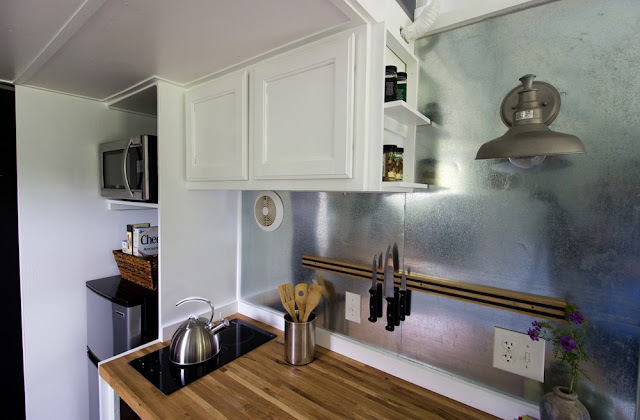 There's even a smoke alarm and a fire extinguisher installed as a safety measure! 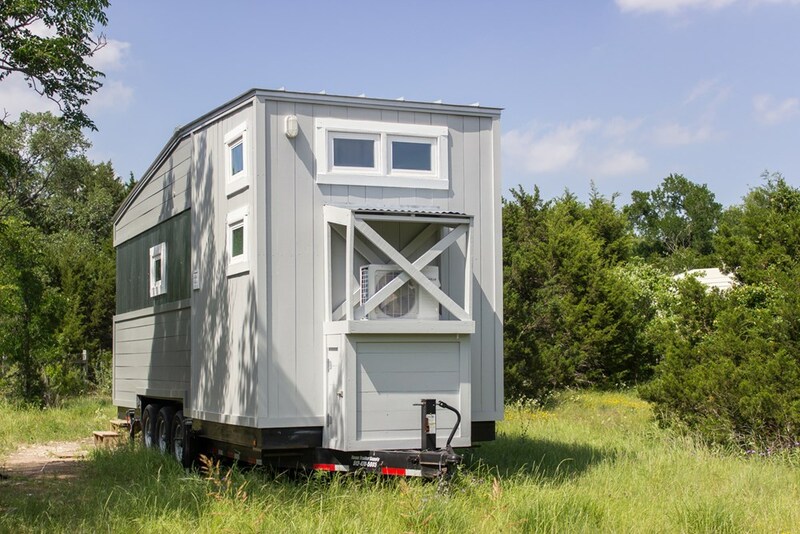 The Fallen Leaves is currently available for sale here for $79,000!